In an age where previously million dollar studios have been condensed into laptop friendly software easily pirated by the tech savvy kids of today it is easy to see why many upcoming producers chase trends trying to hit it big quickly rather than spend years developing their own sonic palette. There is a reason why producers who fall into the trap, even the initially successful ones fade into obscurity almost as quickly as they emerge from it and that is because whilst fashions seem to change at an increasingly alarming rate, curiosity innovation and creativity are permanent. Marc Martinez Nadal known as AFFKT is an artist that feels falls into the latter category. Committed to progress whilst showing a healthy respect for the past is one of AFFKT’s most unique audible features. Above all, AFFKT is synonymous with electronic music, as one of the scenes most active regenerators of contemporary house music; incorporating music from across the musical spectrum to form new amalgamations to create music that he feels, loves and knows. Considering fusion as one of the main aspects of artistic evolution, as he proved in his first hit “Points” on Barraca Music, and stunning the world with his brave innovation, technical sensuality and control of different sound tempos. Taking influence from Jazz, Soul, Latin, Pop and Funk amongst countless other genres. Without the need to discredit classic or renown, through sound composition and experimentation, AFFKT gains access to unedited synthetic and organic spaces, where music finds new ways of expression on the dance floor and beyond. He considers fusion as one of the main aspects of artistic evolution, and stunning the world with his brave innovation, technical sensuality and control of different sound tempos. 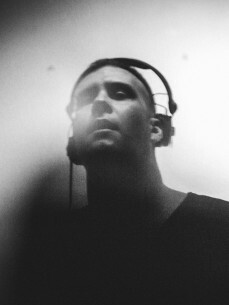 Since then he has not stopped producing and remixing for labels such as Get Physical, Bedrock, Noir music, Sincopat, Suara, Rekids, Buzzin fly, Mobilee, Cécille, Vakant, Mothership, Rebirth, OFF, International Freakshow, Perspectiv or Skint and for artists such as tech de Mathias Kaden, Radio Slave, Remute, Spencer Parker, or Noisia to just name a few. At the same time, in his live and Dj shows, AFFKT displays a free and fascinating scope of influences, references and styles that create an unexpected wave of sound energy on any dance floor.